Richard Tilden, head of commercial vehicles at Lex Autolease explains the importance of keeping your van on the road at all times. A working van is the lifeblood of any building company. From major property developers to SMEs and one-man-bands, having fit-for purpose, fully operational vehicles on the road is essential to a day’s work. But it is smaller businesses who are often at the mercy of unexpected maintenance and breakdowns, without the luxury of having a fleet of replacements. Our recent research found that UK SMEs clock up approximately three million lost working days a year due to unexpected vehicle maintenance – downtime that will clearly impact the bottom line. 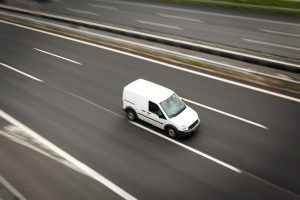 At a time when many of the costs associated with running a vehicle are going up – motor insurance, for example, has increased 18 per cent year-on-year in 2017 – the importance of minimising the financial impact of vehicle operations wherever possible is crucial to avoiding added pressure on already tight margins. Thankfully, there are some simple steps that builders can take to reduce the risk and cost of unexpected or expensive surprises when it comes to keeping their vans on the road. While it may seem obvious, regular vehicle checks are seldom done and can help identify issues early on. Brakes, lights, steering, structural rust and tyres should be inspected frequently to look for early indicators of a fault or a part that needs replacing. For example, excessive play in the steering or spongy breaks could indicate a serious issue developing. Spotting these tell-tale signs and fixing them early can avoid a big payout for major work further down the line. A good practice is to encourage drivers to take responsibility for these checks themselves. Implementing a daily walk-around policy will help to identify faults and also serve to educate employees on what is expected of them in terms of vehicle care. Creating a checklist for drivers will make this easier, no matter how big your business. It may seem like overkill for a small team, but having a list written out will ensure employees know exactly what to look for and prevent important issues being overlooked. Encouraging drivers to record faults can even identify patterns and help to predict future issues. Something as simple as a vehicle fault spreadsheet could, over time, be used to identify driver behaviours that need to be remedied. For instance, if three vans in a four-vehicle fleet are wearing through tyres too quickly, it could highlight certain bad habits, such as aggressive acceleration and cornering. Flagging this can help improve practices and reduce the frequency of part replacement. Driver education is also something building firms should consider. Even with a small number of vehicles, improving behaviour and awareness of best practice can reduce costs in a number of ways. First and foremost, responsible driving will reduce the risk of accidents. This has obvious safety benefits but also reduces the likelihood of payouts for repairs. Simple tips such as how to drive in difficult weather conditions – using higher gears when its icy for example – will reduce the risk of accidents. A clean driving record will also stop insurance premiums from climbing. 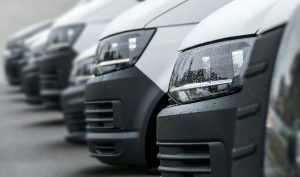 Businesses might also want to consider how transitioning from diesel to electric vans could save significant costs in the long term. Charging a vehicle is, unsurprisingly, less expensive than filling it with diesel. But less well-known is the fact that the whole-life costs of an electric van are now often lower than a similar-size traditionally fuelled one. Electric vehicles have less moving parts than diesel-powered ones which means they are less likely to breakdown or need parts replacing, dramatically reducing outgoings on maintenance. The government’s clear commitment to cutting emissions could accelerate this transition. A key of part of this is the recently launched Air Quality Plan, which mandated all manufacturers to stop building traditional petrol and diesel vehicles by 2040. It is a safe bet that electric and hybrid engines will play an increasingly dominant role for all drivers, both private and commercial. 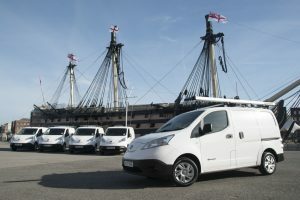 As a greater choice of models become available, electric vans in particular will start to make a lot of sense for the building trade. Insufficient availability of charging points and low battery life mean the latest diesel models are likely to remain the best option for now. But adoption is certainly something to consider over the next five years as investment increases and the technology improves. Significant reductions in downtime and maintenance costs can be achieved with largely simple adjustments to driving practices. While the exploration of new technologies is on the horizon for most businesses, the key now is ensuring diligence and giving employees the resources and knowledge needed to care for their vehicles. For more information on Lex Autolease click here.